Men were the first to gain the aisles, sweeping women and children to one side in their headlong rush for safety. In their hysterical haste they stumbled and fell down the steps, only to be fallen upon by those in the rear, who shouted wildly for help. In a moment the stairways were blocked with fighting, tearing men and women. Seeing the majority of those in the balcony making for the main entrance, the rest of the audience started for the side exits. They did not wait for these doors to be opened by the special officers on guard, but butted their way toward them, almost ripping the doors from their hinges. When they reached the fire escape landing they fell to their knees and were caught in the crush behind them. . . . The shrieks of the men, women and children buried underneath in the mass of humanity could be heard for blocks around. It was feared that most of those, numbering almost five hundred, piled up in the heap had been killed. Five minutes after the accident happened Battalion Chief John Kelly, with Truck Company 9, and Engine Company 25 arrived. Kelly got his men to push the crowd back. This, however, was impossible. Then he ordered his men to jump over the crowd and throw them back. This was effective. In ten minutes Kelly managed to get most of the panicstricken persons back into the theatre. Then the work of removing the dead and injured began. In the aftermath of this incident, the city passed legislation introducing new safety regulations for theaters. The Hippodrome was renovated accordingly and continued to operate under different names for a few more years. 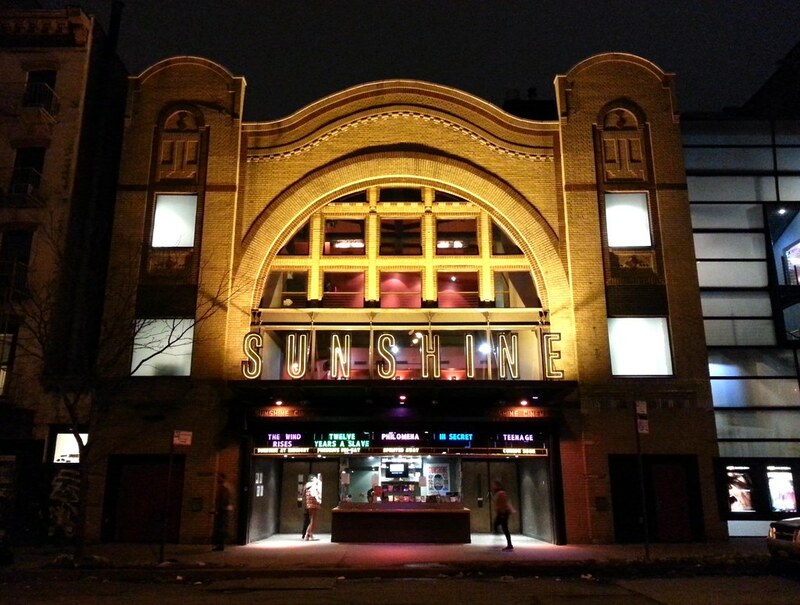 Some sources I've found say the building was demolished in 1917 and replaced by the Sunshine Theater, while others say it was left standing and converted into the Sunshine that same year. The Sunshine went out of business in the 1940s, and the building spent the next half-century as a hardware warehouse. It was then briefly used as a concert space before reopening in 2001 as the Sunshine Cinema, an art-house theater "with five screens, 980 seats, two Japanese rock gardens, $1.75 espressos, $2.25 Goobers and a top-story gangplank that offers vista views of Houston Street."